Here's the project in question, the one young Ahmed (he's aged 14) brought to his Texas school; the one his teacher thought could possibly be a bomb; the one that prompted a call to the cops, who promptly arrested the lad; the one that resulted in Ahmed becoming an Internet sensation--a hero, even--as the teacher, school and cops were condemned for such supposedly egregious "racial profiling"; the one that got the clock-maker an invitation to the Obama White House so that it could provide the nation with one of those crucial "teachable moments." 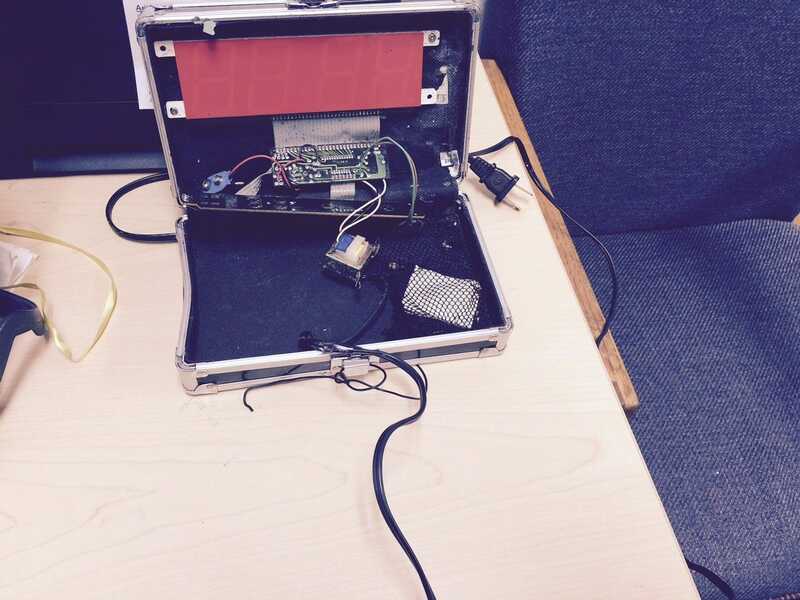 Obama's "teachable moment," of course, is this: "Shame on those who thought this looks-like-a-bomb clock was a bomb." The real teachable mo, though, should be this: When any kid brings something to school that looks more than a bomb than it does like a clock, it's better--and far safer for all concerned--to err on the side of caution, even if that gives rise to a hissy fit about "racial profiling." Update: Robert Spencer details Obama's half-clocked tale of Islamophobia. Where Does The Green Party Stand On Israel? The Future Belongs to the "Sock Puppets"
There's a "Refugee Camp" in East Jerusalem? "The Future Belongs to People Like Ahmed"
Dear Tarek Fatah: What Drugs Are You On? How Many Potential Syrian "Migrants" Are There?